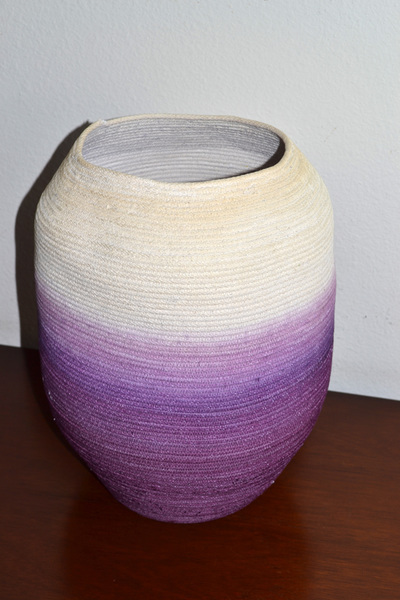 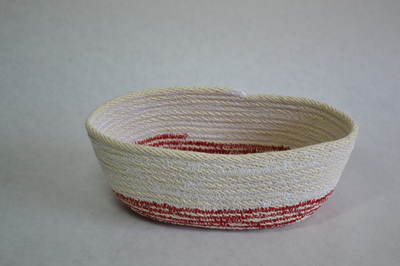 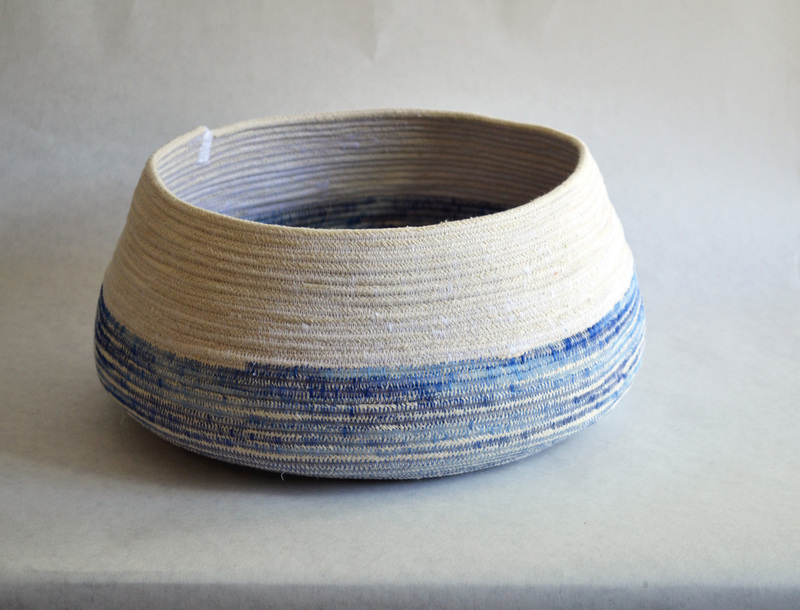 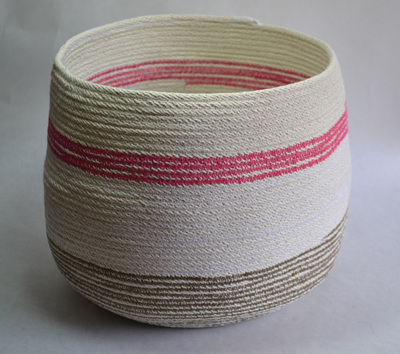 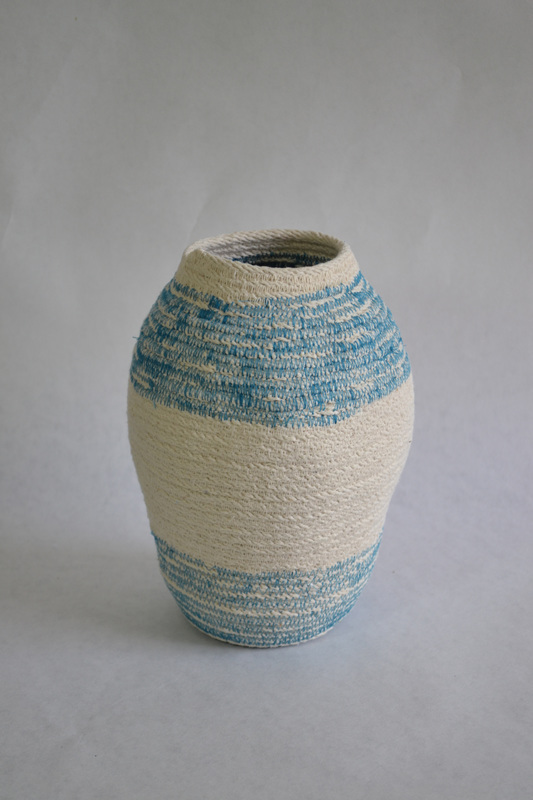 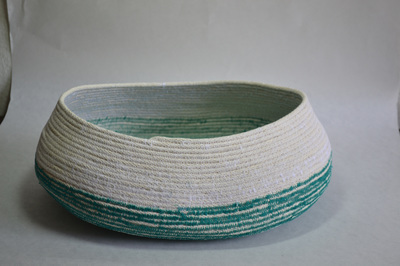 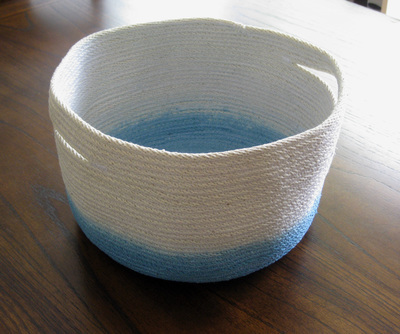 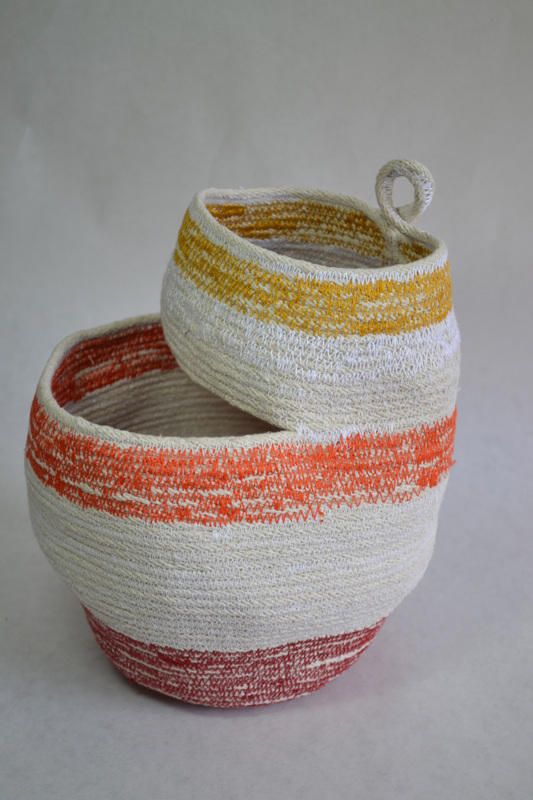 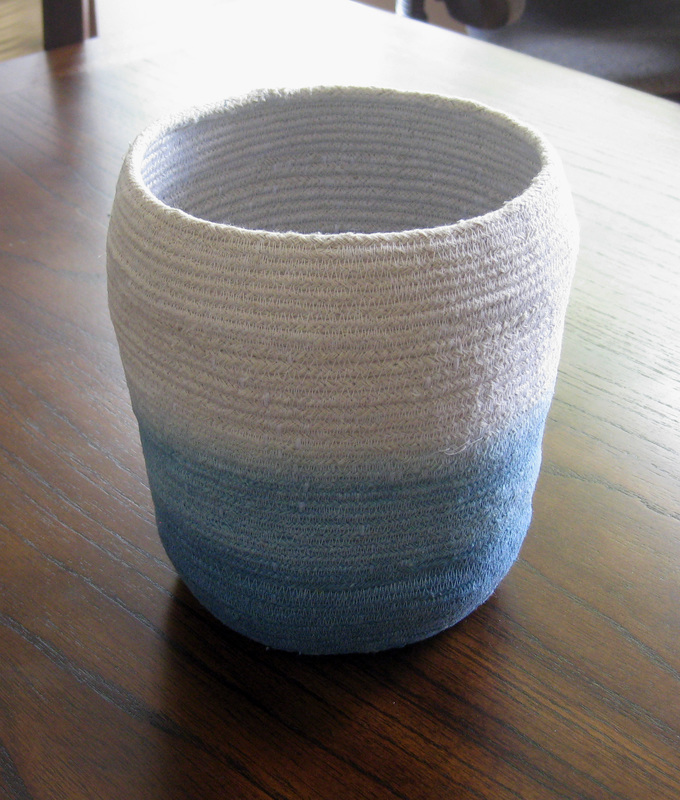 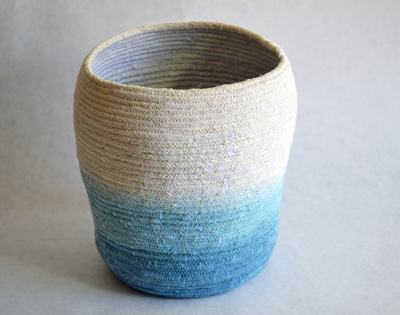 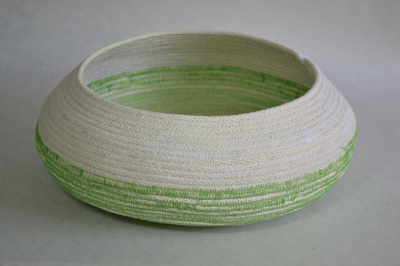 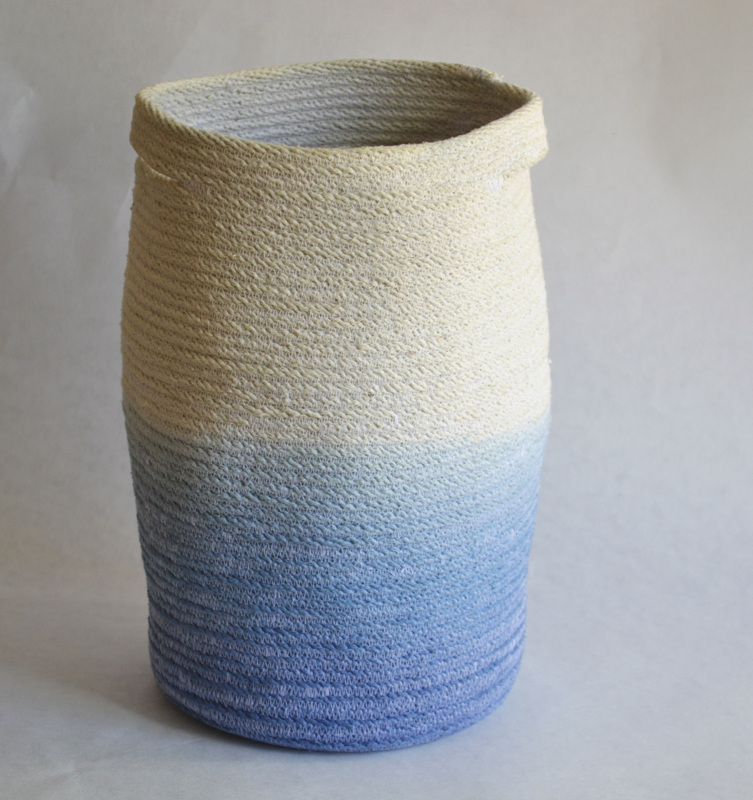 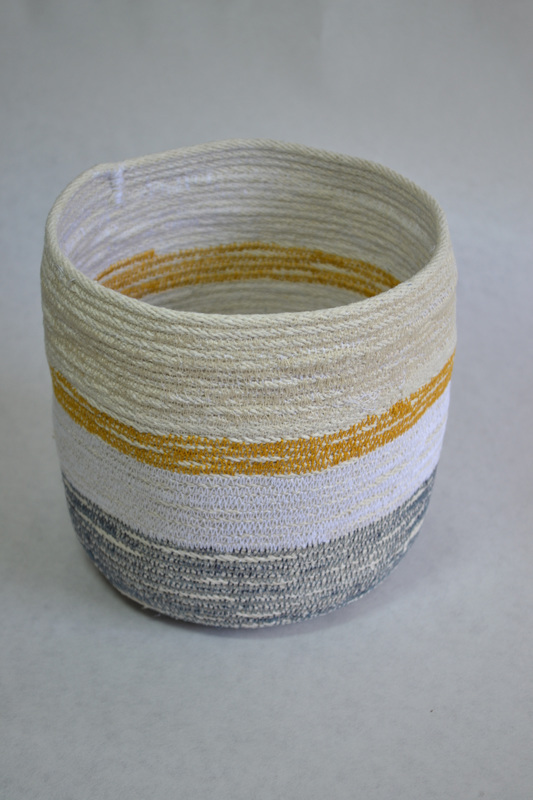 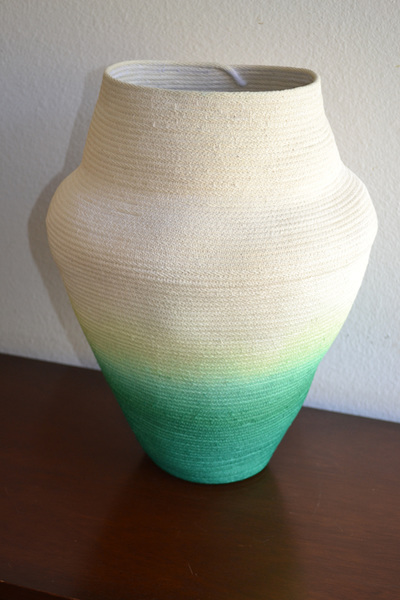 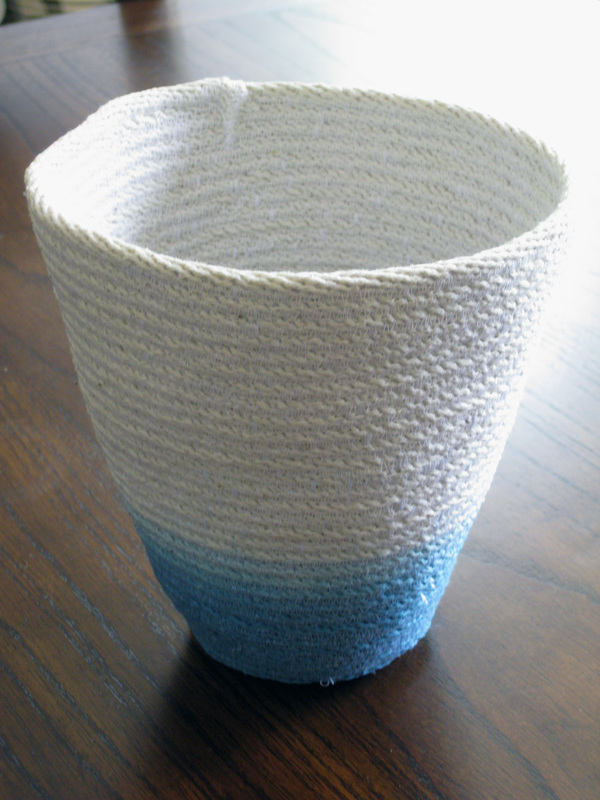 Bowls and vessels are created out of cotton clothesline rope and colored thread. From across the room, they look like porcelain. 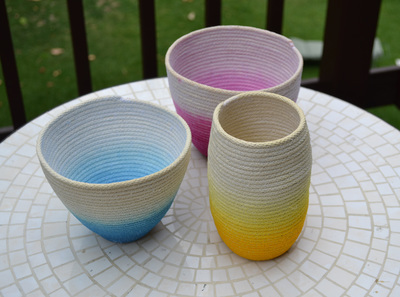 Some of the bowls are ombre dip-dyed with colorfast dyes. 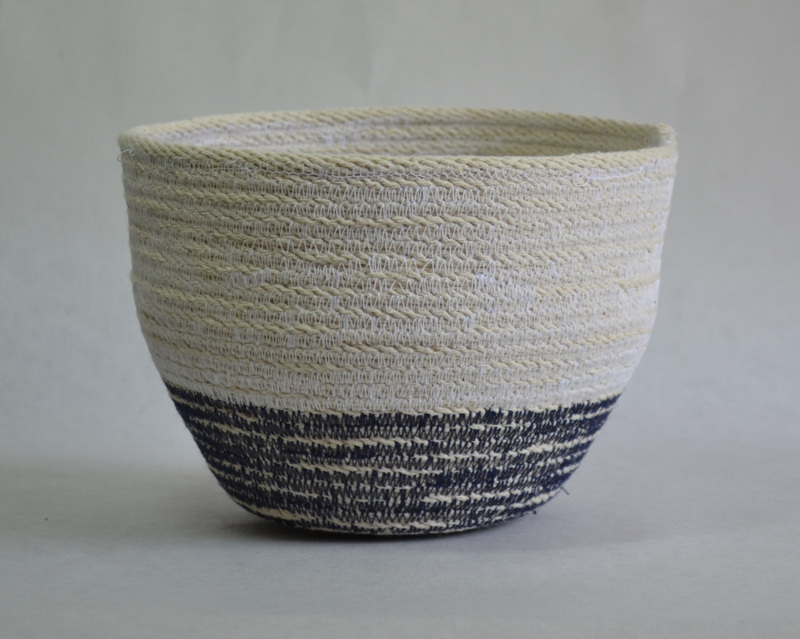 The process is similar to throwing clay pots: the sewing is calm and meditative as the shape is formed. 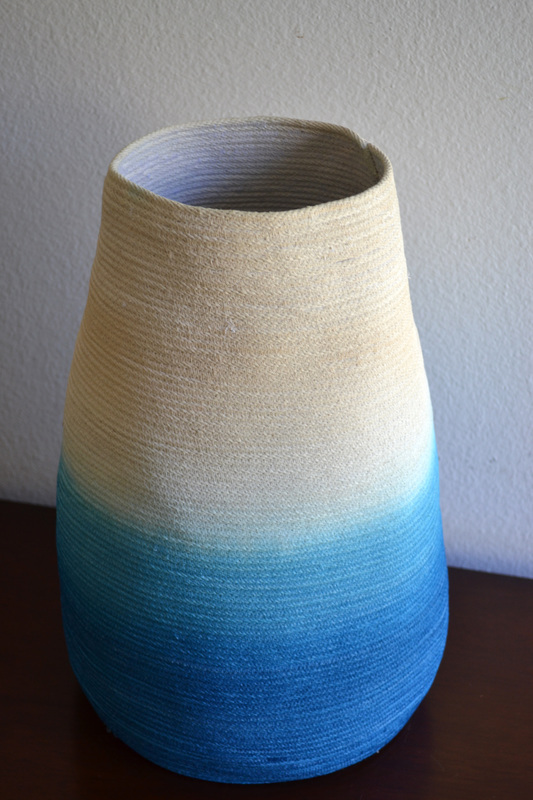 I am never sure of the outcome, and each piece is unique. 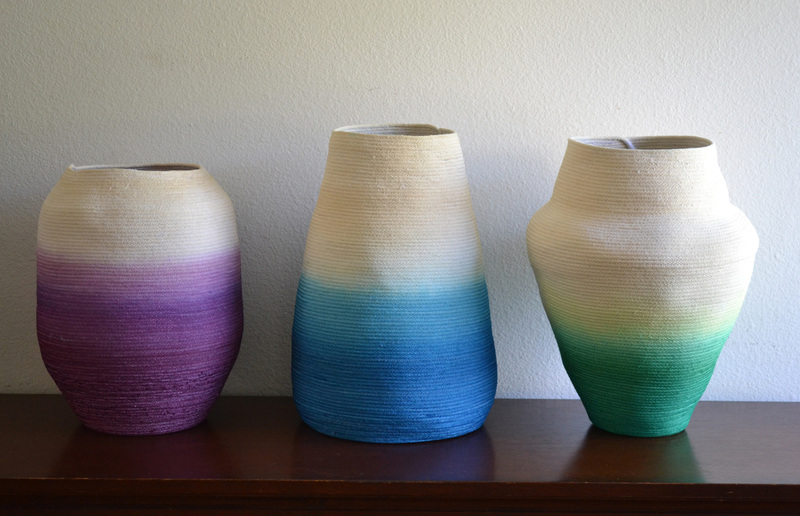 These vessels are sturdy yet malleable, with a compelling texture. to edit.